BELLEVILLE – World Autism Awareness Day is on Thursday and this year the focus is on employment for individuals with autism. Carrie Habert of Autism Speaks Canada says that there aren’t enough job for people with special needs like autism. The United Nations declared in 2007 that April 2 will be known as World Autism Awareness Day. Autism is one of three health issues to have a day dedicated by the UN. This year’s theme is “Employment: The Autism Advantage”. The UN estimates that 80% of adults with autism are unemployed. “Research suggests that employers are missing out on abilities that people on the autism spectrum have in greater abundance than ‘neurotypical’ workers do – such as, heightened abilities in pattern recognition and logical reasoning, as well as a greater attention to detail,” says the UN. One in 94 children in Canada are diagnosed with an Autism Spectrum Disorder thus making it one of the most common developmental disabilities. Early intervention is critical for the development of children on the autism spectrum. There is not enough support for people with autism after high school in terms of post-secondary education or employment, says Autism Ontario. Autism is characterized by rapid development in some areas such as music skills, reading skills, and exceptional memory. It’s also characterized by delayed development in social skills, behavioural problems, and a dependence on routine but it’s different for everyone, according to Autism Canada. Part of World Autism Awareness Day is the Light It Up Blue campaign where public buildings, schools, museums and businesses change their exterior lights to blue or project the Autism Speaks puzzle piece. 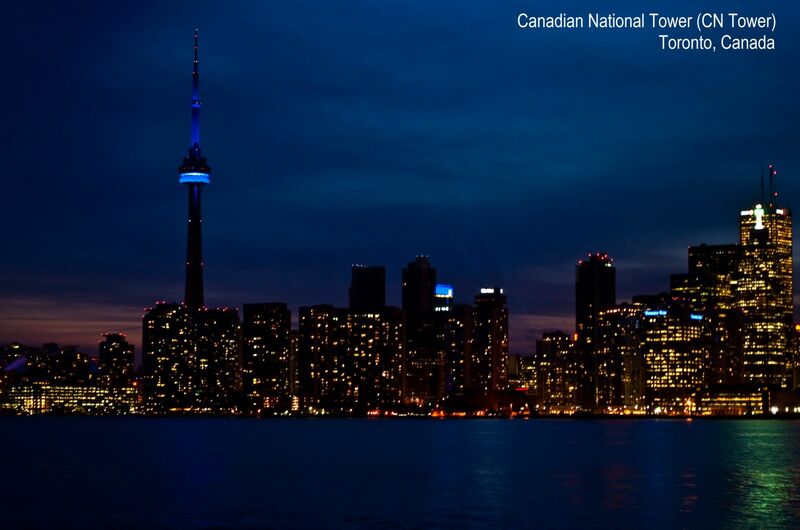 In 2013, over 7,000 buildings in 90 countries were lit up in blue to show their support in raising awareness. 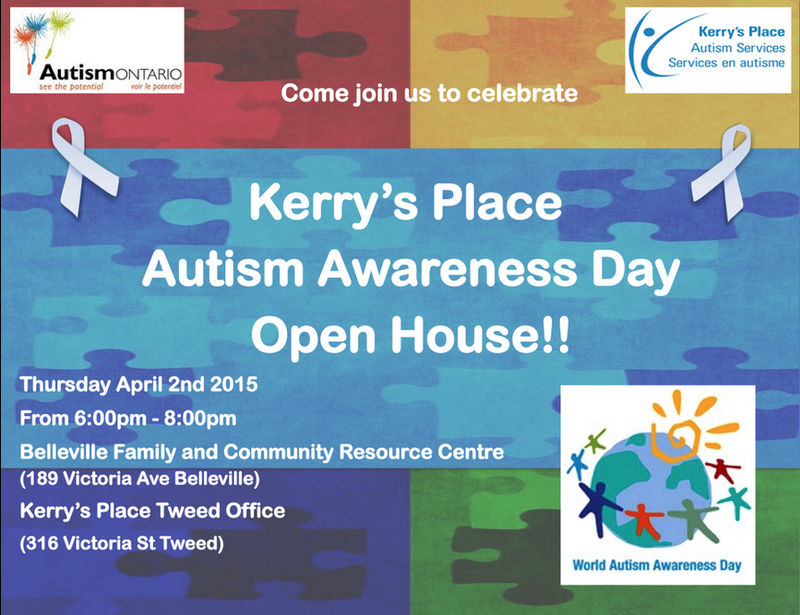 Kerry’s Place Autism Services is hosting open houses at their locations in Belleville and Tweed to raise awareness of Autism Spectrum Disorder. Learn more about Autism Spectrum Disorder by attending the Kerry’s Place open house Thursday evening from 6 p.m. to 8 p.m. or go to AutismSpeaks.ca.